The history of the Bellei family and Lambrusco goes back decades, all the way back to the 1920s. 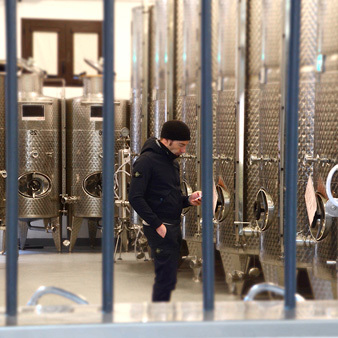 Christian Bellei is 4th generation, and he and his father “Beppe” before him were pioneers in a recent revolution in quality in this part of Emilia Romagna. 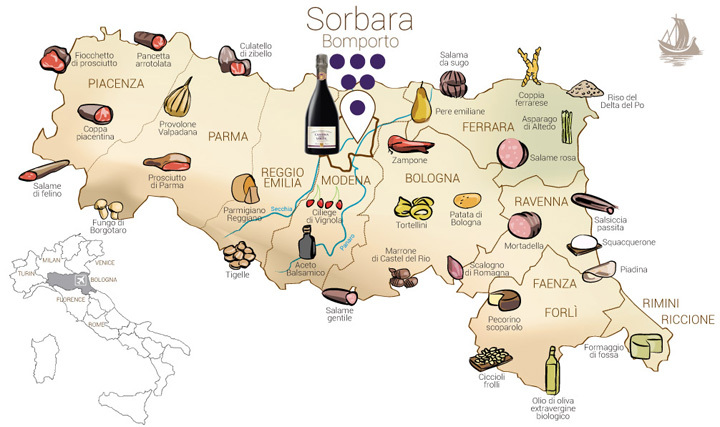 In Bomporto outside of Modena, Lambrusco is essential to pair with all that local salumi and formaggi, and Cantina della Volta understands how vital that connection is. 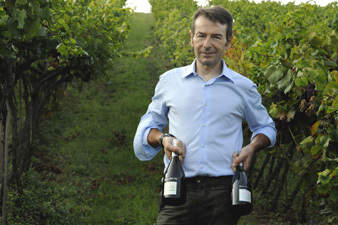 Along with his father, Christian spent much time studying and mastering the great sparkling wines in Epernay, France. Thanks to the help of a few devoted friends and supporters, Christian was able to lead his family winery in a new direction, one focused on classic method wines and a new level of quality. 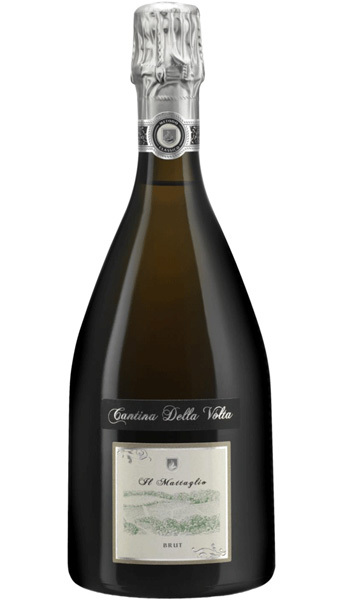 In 2010, Cantina della Volta was started, amongst the first to push champenoise method Lambrusco. The reputation has come such a long way thanks to folks like this, and in perhaps Italy’s best culinary region, these wines of Modena are of the caliber to pair. Nick was lucky enough to meet Christian and Chef Massimo Bottura at a small event in Bologna called Chef to Chef, and little did Nick realize, but he would soon be representing one of Italy’s most important sparkling winemakers. We were lucky enough to meet Christian, along with partners Angela and Giorgio, early on in the process. Thanks to their friendship and loyalty, we as a tiny importer are representing one of the newest great Italian wineries, one that continues to win award after award for their superb sparkling wines. In the early 1900s during the inception of the winery, the tributaries of the Po River served as very important shipping channels. A section of the river that borders the winery was once a location that merchant ships would turn and sail back in the opposite direction. 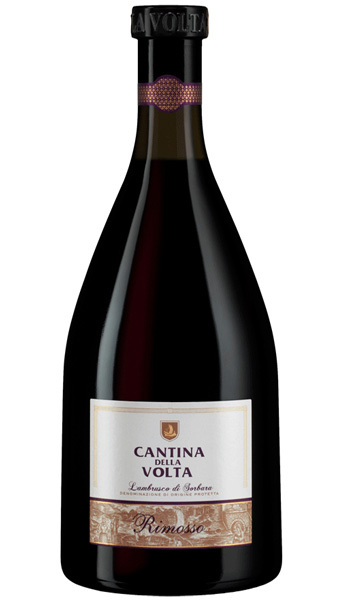 Cantina della Volta, or winery at the turn, signifies a turning point for ships, as well as a turning point for the direction of Lambrusco. 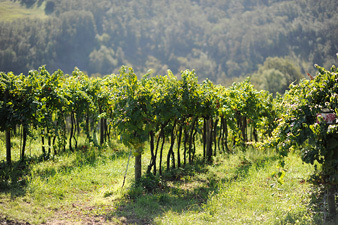 Cantina della Volta manages vineyard sites throughout the Bomporto area. All of the property is under the watchful eye of Christian, so obsessed with quality that he employs folks from Franciacorta to harvest only the best bunches of grapes. The focus here is always on Lambrusco di Sorbara. 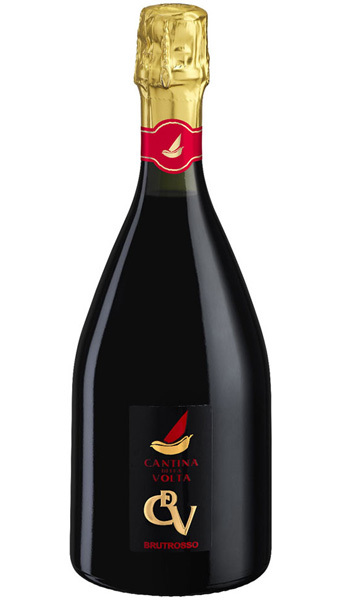 Christian and is father always believed in the elegance of this specific Lambrusco, knowing that it had the natural acidity and aroma to result in ageworthy, beautiful sparkling wine. He and his father also planted a small plot whose terroir mirrors that of Champagne, with chalky limestone soils where they planted Pinot Noir and Chardonnay. The only other white Lambrusco you can find is sold as cheap, sweet wine in the supermarket in Modena. This is a one of a kind wine from who else but the masters of Lambrusco. First vintage of the wine was produced in 2012. Hand harvest is followed by an immediate press,using 35% to 40% of the potential juice. This is an initial squeeze in the press thus really giving us that surprising floral & yellow fruit. The primary fermentation occurs after clarification of the must. 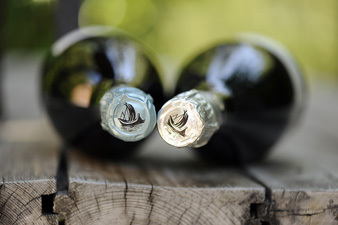 The wine rests for 6 months before being places in the bottle for secondary fermentation. Generally the wine ages 36 months on the lees, followed by remuage, disgorgement and the addition of the liqueur. A category essentially created by Cantina Della Volta, so much so that when I originally registered the labels no one at the TTB knew what I was referring to! Hand harvest, a crazy soft press utilizing only about 40% of the potential juice. Basically the juice is in contact with the skins for about 50 minutes in the process. There is a brief rotation of the skins through the juice in the vaslen press. After pressing the must will be clarified before going onto primary fermentation. After primarily fermentation the wine rests for 6 months, before going into the bottle. Generally we are looking at 36 months on the lees for the rose, will about 6 g/L of sugar in the liqueur to help balance the acidity in the wine. An anscetral method Lambrusco which was a thing before everyone started making Pet Nat. In fact, Lambrusco is natural secondary fermentation historically speaking, until Christian & his dad started messing w/ champagne method. Manual harvest. Primary fermentation happens in stainless steel under temperature control. The wine will rest for six months before being put into the bottle where it will naturally referment. 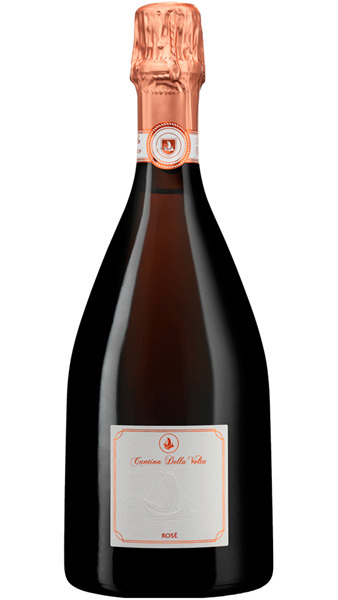 This is Cantina della Volta’s answer to more affordable Lambrusco that is still well made and is still a 100% commitment to Sorbara (as so many producers add Grasprarossa). It’s everything you want Lambrusco to be, full stop. Similiar primary fermentation to the Rimosso, but there’s a further selection of fruit for their champagne method wines. There will also be a more delicate press. The secondary fermentation is this case follows the Champagne method, with aging in the bottle of 9 months, at 12 degrees Celsius. This wine is a Brut. Coming from a vineyard in Ricco’ di Serramazzoni North of Modena that is at 650 meters. Christian planted these vines over 30 years ago, taking clipping from friends vineyards in Champagne of Chardonay and Pinot. The vineyard is an attempt to mimic the soil type & climate that you find in Champagne. It’s not perfect but these wines are delicious. Hand Harvest followed by an immediate press of the Pinot and Chardonnay. 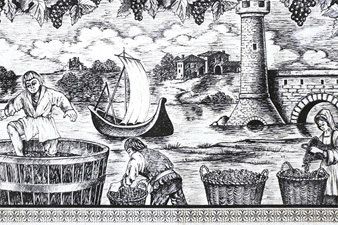 The best grapes are selected for this wine both in the vineyards and before pressing. 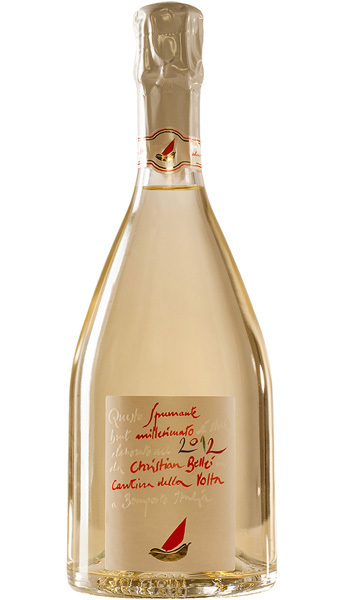 The primary fermentation is followed by six months in stainless before going into the bottle for up to 24 months. Our favorite is the No dosage!! Headed to Italy? Schedule a tasting!